In August, 2000 racing driver and safety pioneer John Fitch made a what seemed to be a counter-intuitive proposal: pave the gravel runoff areas at motorsports tracks to improve safety in the event of an accident. Up to that time, the thinking of track designers was that gravel would act as a cushion, causing an out-of-control race car to to slow or stop before hitting a wall. The irony was that physics proved that the exact opposite was true: that gravel traps did little to decease speeds and actually increased the severity of impacts. In 1999, Fitch cited Michael Schumacher’s crash at Silverstone, where he suffered a broken leg, as a prime example of gravel not working to decelerate a car. 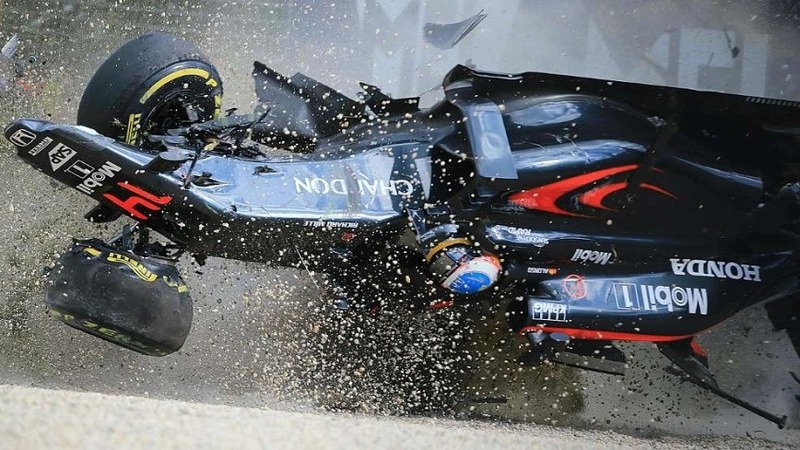 As Alonso’s accident showed, the gravel trap also has an insidious tendency to cause cars to dig in, roll and become airborne, and in the McLaren’s case to cause it to impact the wall with the top of the cockpit. Only through amazing luck did we not witness a serious injury to or death of a World Champion. Where tracks have paved the gravel or grass areas, safety has been dramatically improved. There are now calls for the same logic to be applied to NASCAR venues after the 2016 season has seen cars digging into the grass areas. It’s clear that more must be done to increase track safety for all levels of motorsport. The words of John Fitch continue to be relevant today.